Hope you all had a great Christmas, if you celebrate it! That cactus is just gorgeous. Pretty pictures! Hope you had a merry! Melted snowman cracked me up! It looks like our yard, except there should be slush. 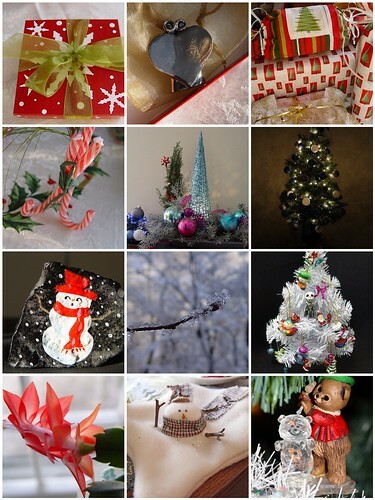 Great Christmas collage you’ve posted! Looks like some lovely pics I love the snowman! I, too, love the melty snowmen! Very pretty photos -every one. Nice take on the theme! Ohhh… I love them! I cannot even pick a favorite! The gift! And the Christmas lights! And the Christmas cactus! And the melty snowman!